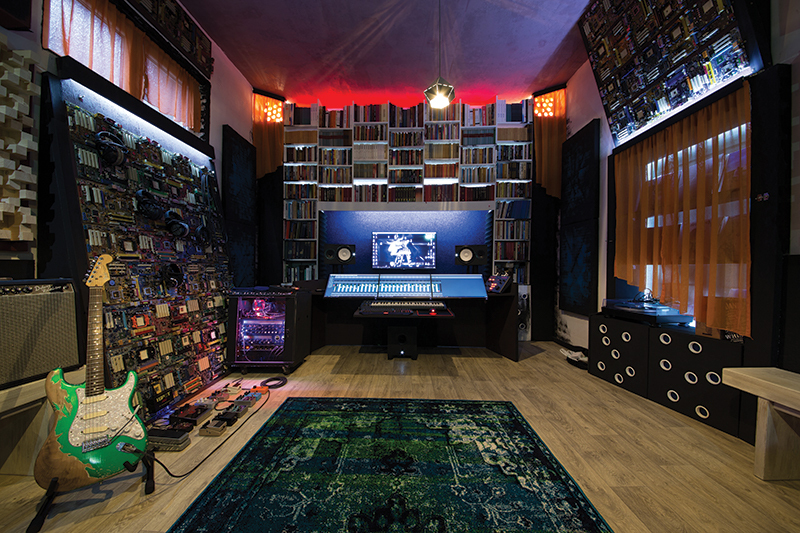 Innovative design and a commitment to detail are defining features of Electrick Recording Studio, a Montenegro-based facility built from scratch by owner and CEO Mirko Djurovic and co-run with his brother Marko Djurovic Markoni. At Electrick, high-end digital technology sits alongside vintage valve gear while a dedication to outstanding acoustics predominates. Here, Mirko Djurovic guides us through the studio’s gear and recounts how conversations with some iconic and world-renowned individuals helped to define his vision. The walls are part of the acoustic treatment, which is the first step of making a studio. 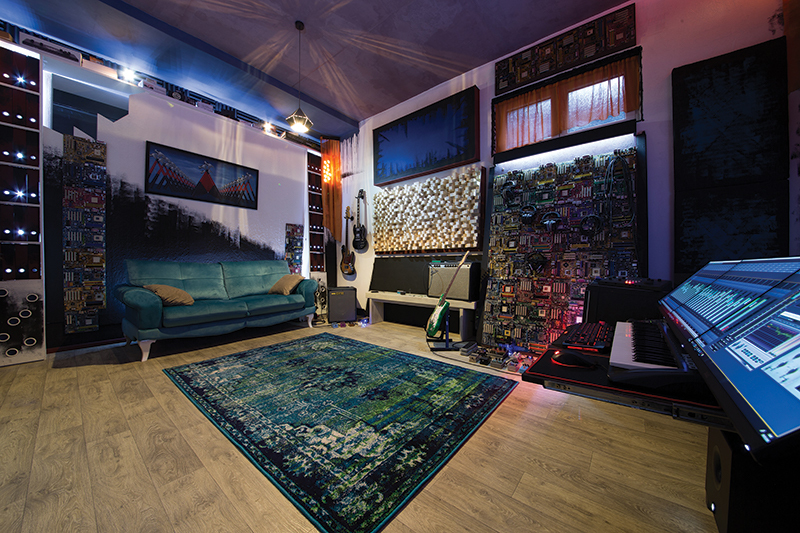 The idea was to build a studio with the best possible acoustic solutions. Also, the goal was to achieve an original design. Computer motherboards came across my mind, so I just put them on the walls. I would like to mention my brother, Marko Djurovic Markoni, a partner in the studio. He is a highly experienced producer, composer, arranger and the best guitar player around (but he will never admit this!). He suggested skyline wooden diffusers. It’s simple: you just take like 1,800 wooden pieces and glue them together. The result exceeded our expectations in terms of acoustic properties and design of the room. 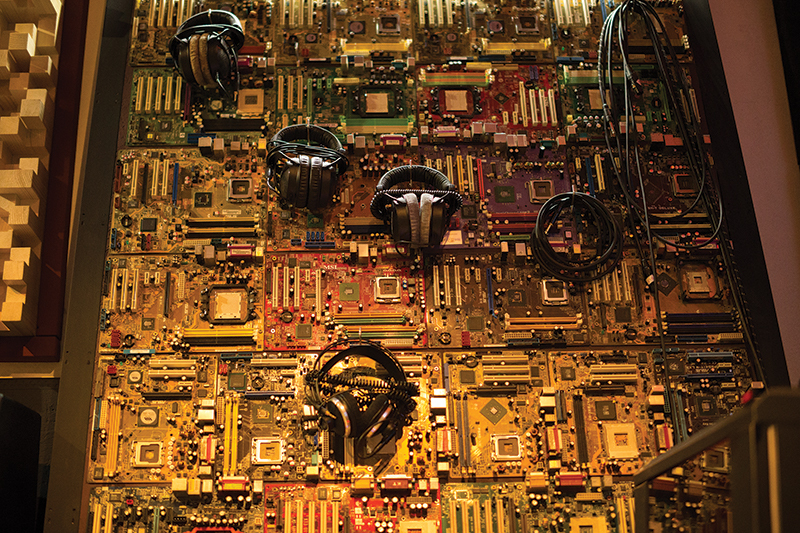 The motherboards – as a symbol of technology combined with wooden skyline diffusers – look fantastic. 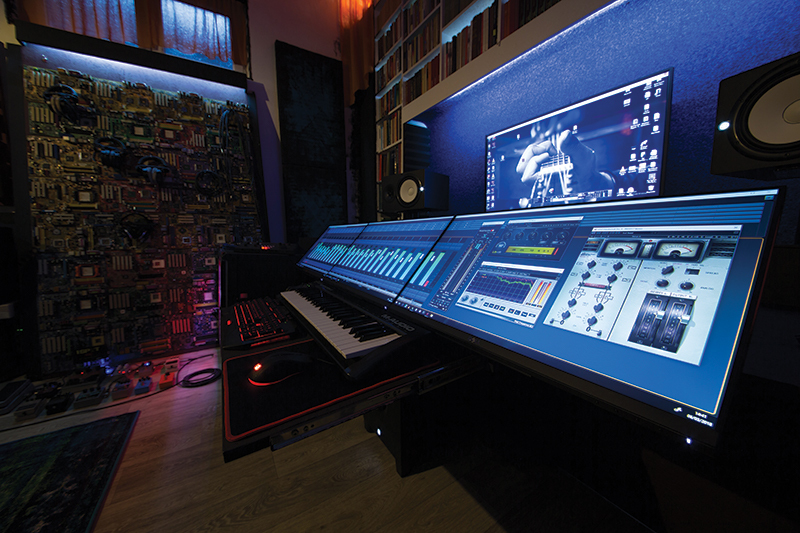 What are the main components in your studio? The most used signal chain in Electrick Studio is Rode Classic II microphone > TL Audio VP1 > channel strip > SPL Crimson V2.0 audio interface > Yamaha HS8 and HS8S subwoofer. Cubase 8 Pro. It’s a fantastic DAW. It gives me everything I need. Working on Cubase is amazing! Cubase Pro also has ‘audio for video’ option, meaning you can easily import tracks from a video project in stereo and 5.1 mode. Surround sound is something that I’m very interested in and I hope that Electrick will be able to provide that next year. This is an extremely hard question because all producers love all the gear they have, and I’m no exception. But let’s say the TL Audio C1 dual preamp/compressor. I love it because it’s based on vintage technology. It has plenty of gain. Sounds fantastic on vocals and every instrument I recorded. TL Audio is used by a wide variety of high-profile artists that includes people such as Sting, Damon Albarn, Tori Amos, Van Morrison, Stefan Olsdal (Placebo), Coldplay, Underworld and C1 was used on Alanis Morissette’s Jagged Little Pill for buss compression. It’s really unbelievable how much you get from C1 and you don’t have to rob a bank to buy it. How often do you spend in your studio? There is no rule for me. While working on a song, I’m in the studio all day long. So it could be like 60, even 70 hours per week. And there are days when I just sit in the studio, relaxing, experimenting with sounds, practising the bass or just listening to music. Spending time in the studio is a really nice experience in every way. I also work on my masters thesis in the studio. But, to be honest, Marko has been much more creative than me in the past few months. He’s really a massive creative force in Electrick. How do you use your studio? For example, are you recording bands, working professionally or just making music for fun? As I am a specialist in audiovisual production, I’m working professionally. The studio is designed to be pleasing to work in, so I’m always trying to create something with pleasure, including my masters thesis and working on two screenplays. The initial idea was to make a studio in which all work and time spent would bring pleasure. In that sense, I don’t believe that work and enjoyment shouldn’t be mixed. Instead, a person should do everything they can to make the conditions of work as pleasing as possible. Nothing for now. If I had millions, I would definitely buy a bunch of gear. But I really have everything I need. I have a ‘Guest’ section in my masters thesis. I had the huge privilege of speaking with world-renowned names such as Noam Chomsky, Raymond Ray Kurzweil and Andrew Scheps. If you look at Andrew Scheps’ biography, you will probably find out that he has worked with your favourite singer/band. That was one of those conversations that open your eyes. Scheps has practically said that, nowadays, it’s easy achieving top-of-the-line production quality in the box. When you are using high-end analogue outboard gear with a DAW, you can really make miracles, production wise. That’s exactly what we do. Does anything annoy you about your setup and if so, what? I would like to have a bigger studio. However, we just started. The studio was opened a few months ago and we are already thinking about an expansion. 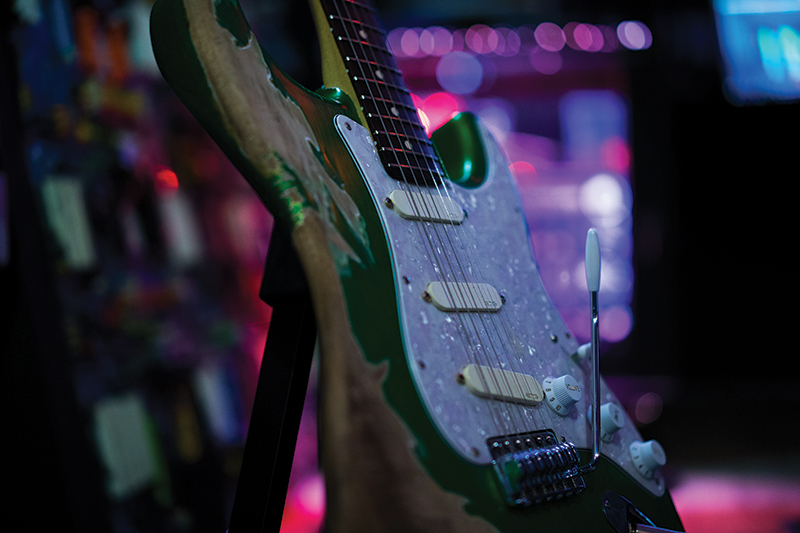 What is your dream piece of gear and why? Producers usually dream about having huge mixing consoles and expensive vintage gear. But my fetishes include guitar and bass pedals. I would really like to have a separate room with a thousand pedals. 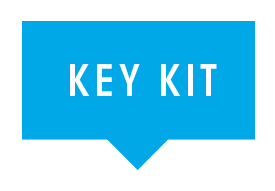 Every producer has their own routines, tips and tricks. You can find them on the internet. Combine it, practise as much as you can and make your own. What advice would you give to someone who is just starting out building their own studio? Deal with acoustics first. You can have the most expensive gear but if you skip the acoustic treatment, then you will hardly be satisfied with your sound.